Dhaka, 23 April, Abnews: Facebook is building a team to design its own semiconductors, adding to a trend among technology companies to supply themselves and lower their dependence on chipmakerssuch as Intel (INTC, -1.34%) and Qualcomm, according to job listings and people familiar with the matter. The social media company is seeking to hire a manager to build an “end-to-end SoC/ASIC, firmware and driver development organization,” according to a job listing on its corporate website, indicating the effort is still in its early stages. The Menlo Park, California-based company would join other technology giants tackling the massive effort to develop chips. In 2010, Apple (AAPL, -3.40%) started shipping its own chips and now uses them across many of its major product lines. Alphabet’s Google has developed its own artificial intelligence chip as well. 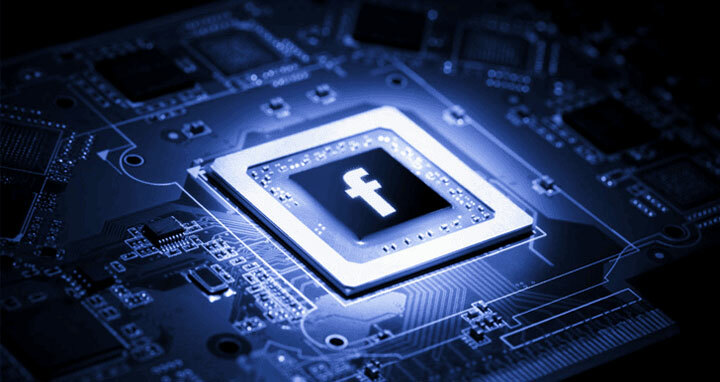 Facebook (FB, -0.65%) could use such chips to power hardware devices, artificial intelligence software and servers in its data centers. Next month, the company will launch the Oculus Go, a $200 standalone virtual-reality headset that runs on a Qualcomm (QCOM, -2.16%) processor. Facebook is also working on a slew of smart speakers. Future generations of those devices could be improved by custom chipsets. By using its own processors, the company would have finer control over product development and would be able to better tune its software and hardware together. Facebook declined to comment on the job postings. A system on chip, or SOC, is a type of semiconductor that contains several discrete components built into one piece of silicon. They’re typically used in mobile devices where their space and power-saving properties are more valuable. The main functions of most smartphones are provided by SOCs. An ASIC, or applications specific integrated circuit, is a chip designed for a narrow purpose. Such components are often the fastest or most-efficient at running a particular piece of software. Their weakness is that they’re locked down and may become redundant over time if software and workloads evolve.